Cities capture people’s imaginations because they are a whirlwind of change, adaptation, and challenge. Cities change on almost a daily basis, with the influx and exit of commuters. To survive over time, cities have to adapt to economic change, migration patterns, and citizens’ needs. Cities also have to face society’s toughest problems—poverty, crime, homelessness, and more—all while delivering the public services that help make a city hum. In the early part of the twenty-first century, information and communications technologies (ICTs) have come to be seen as a way to help cities thrive. With the right deployment of technology, cities can become “smart” so that they can better deliver public services. Running parallel to the “smart city” discussion is the notion of inclusion; that is, a city is better off if a wide range of people participate in how it grows and evolves. In this context, inclusion has a lot to do with diversity—in the economy, civic life, and urban design. The upshot can be greater equity, as opportunities for economic and social growth open up to a wide range of a city’s population. ICTs may be among the tools deployed to enhance inclusion. One (inclusiveness) does not follow necessarily from the other (a smart city). The term “smart city” seems to have no clear definition. It initially was part of a marketing campaign by IBM to introduce technology into cities to manage services more effectively. For example, a city might deploy sensors throughout the city to collect and analyze data to manage infrastructure better. Somewhat more expansive perspectives on a smart city encompass a wider range of services that a smart city might touch, such as education, health care, and telecommunications. In the international context, the European Union finds that the smart city includes assessing cities on the basis of governance, human flourishing, livability, mobility, economy, and environment. Eschewing the term “smart city,” advocates of the “responsive city” aim to deploy technology to reinvent city bureaucracy. Digitally enabled data and analytics might not only improve government services but also engage city officials and citizens in new ways. Using new software—often open source—can enable officials in different agencies (or different parts of the same agency) to view anew previously disparate data. This can markedly improve results and motivate public servants. A bonus outcome is the breakdown of outdated bureaucratic silos in the course of producing better governance. The ambitious hope is that a “responsive city” updates the Progressive Era’s early twentieth-century state-building so as to restore citizens’ confidence in their government. Yet a smarter and more civically engaged city is not the same as an inclusive one. An app intended to be neutral—such as one that allows citizens to use a smartphone to report pothole—may in fact favor residents of relatively well-off neighborhoods where smartphone adoption is higher than in low-income neighborhoods. This may increase satisfaction in government—and maybe civic engagement—in a high-income area. But greater inclusion is not necessarily the ultimate result. Society’s increasing reliance on algorithms to process “big data” has potentially deleterious consequences that can run counter to inclusion. A smarter and more civically engaged city is not the same as an inclusive one. If the smart city’s definition is hard to pin down, the “inclusive city” is an even more ambiguous concept. An online search reveals the “Inclusive Growth in Cities Campaign” launched in 2016 by the Ford Foundation and the Organization for Economic Cooperation and Development. This campaign aims at tackling the growth in economic inequality. Strategies to foster inclusive growth rely on transit-oriented development and affordable housing, namely ensuring that people can afford shelter in a metropolitan area and get to work with reliable and affordable public transportation. Cities must also invest in people in the form of programs such as early childhood education, job training, and childcare. As Jane Jacobs argues, diversity is the foundation of a city that provides wide-ranging opportunities. This makes diversity a key underpinning of inclusion. Diversity comes from a variety of people interacting in an urban space that itself has variety—in length of city blocks, types of buildings, and commercial activity. The diversity and density of cities fuel regional growth; as Paul Krugman has noted (in quoting Alfred Marshall), flows of technical knowledge that “are as it were in the air” can drive trade and industrial growth. Information exchange, in other words, is part of the growth equation. But information exchange may not necessarily foster inclusion. Global information networks, as Manuel Castells argues, offer cities the opportunity for specialization in economic activities. That means greater productivity and wealth for cities, but also raises new worries. If growth prices low-income people out of the city, there may be less demographic and cultural diversity, as well as greater economic inequality. Recent research from the Brookings Institution finds widening economic inequality across cities, driven by growing divergence in metropolitan area productivity fueled by high-tech industries. Investments in inclusion, at least as they relate to tech and cities, fall under the rubric of the emerging field of digital inclusion. Digital inclusion is largely a community-driven effort to close gaps in digital access and skills. As the National Digital Inclusion Alliance (NDIA) defines it: “Digital Inclusion refers to the activities necessary to ensure that all individuals and communities, including the most disadvantaged, have access to and use of Information and Communication Technologies (ICTs).” This means affordable access to digital networks and devices, as well as digital literacy training and quality technical support. Digital inclusion advocates take a “people first” approach to closing ICT deficits. These deficits are clearest for those without internet access at home, Crucially, digital inclusion unfolds at institutions (e.g., public libraries) that are well trusted by people.but also extend to parts of the online population interested in improving their digital skills or information literacy. It is also embedded in community institutions, such as local public libraries. Nonprofits with missions focused on digital inclusion play key roles as well; Tech Goes Home in Boston and Connect Your Community in Cleveland are two prominent examples. Finally, public-private partnerships come into play, especially as industry-led initiatives (e.g., Comcast Internet Essentials) work with community institutions to raise awareness of their offers and engage them with the internet. The smart city and digital inclusion movements occupy different parts of the urban ecosystem. The smart city’s priority is investment in hardware to improve city services, but it unfolds in a time when people’s trust in government is low. Although the relatively well-funded smart city garners its share of publicity, there is little evidence that the public is highly aware of government data initiatives. Digital inclusion contrasts with the smart city in its focus on people and the resources they need to operate in a digital society. And though digital inclusion may not be as well publicized as the smart city and struggles for resources, government officials and the public have strong levels of awareness of the need to support digital inclusion. Crucially, digital inclusion unfolds at institutions (e.g., public libraries) that are well trusted by people. These dichotomies—strong budget, low public awareness (smart city) and weak budget, better public awareness (digital inclusion)—offer room for synergy. A natural place to start would be to fund trusted community institutions—libraries and community nonprofits—to bolster people’s digital skills and information literacy. 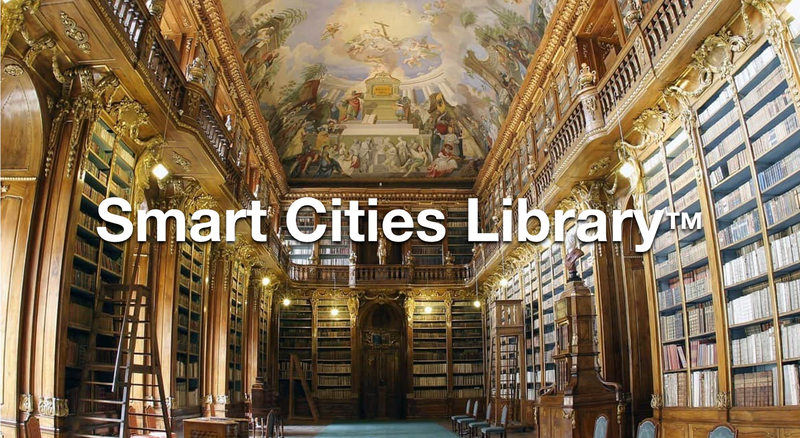 These institutions can coordinate with local government to ensure that smart city applications are included in training materials and otherwise promoted to the general public. Focusing on community institutions as means to disseminate smart city applications also offers a chance for targeted outreach to low-income communities. If there is to be federal involvement in this issue, policymakers have to find a way to move beyond Lifeline as a mechanism to support fairness in the communications access. Even if partisanship surrounding Lifeline fades, the Obama FCC’s rules to allow the program’s $9.25 per month subsidy for phone service for qualifying households to be used for broadband is likely to have limited impact on adoption and no impact on the broader issue of digital inclusion. Other agencies—the National Telecommunications and Information Administration and the Institute for Museum and Library Service—have the expertise to channel resources to communities for inclusion. Unlike the FCC, though, they lack the funds. Reallocating those funds from the FCC to those (or other) agencies seems worth the effort—but requires legislation. Any city exists in part because it is a place where rich information exchange drives growth and learning. Digital technologies increase the rate and volume of information exchange, but their impacts may vary within cities and across them. Digital technologies can also introduce uncertainties among users, making trust an ever more important ingredient in the civic landscape. Investments in trusted civic institutions that process information and help connect people to it are likely to have payoffs in making cities places of opportunity for all citizens.